Anonymous, 13 Aug 2009nokia 3310 is the best phone ever made. eventhough there is no camera or mms facilities, it me... moreI agree. It is a real classic. I still have this phone and use it to places where camera phones are not allowed. I so wish Nokia would make a phone EXACTLY like it (design wise) but with all the latest technology of today on it. This phone was amazing, this was my first ever phone and when i was 12 i dropped it down 6 flights of stairs, and it survived lol. nokia 3310 is the best phone ever made. eventhough there is no camera or mms facilities, it meets the needs of a general customer.i am 100 percent satisfied. This was the first phone I bought with my own salary, though second hand, and I bought it from a co-teacher via installment. It's like my old 3210, but I can compose my own ringtones! Sadly, it's not as rock-solid as my old 3210... I still have my 3310 with me, as an adjunct to my Nokia 6600. The ringtone editor is so addictive! And, oh: that nifty space fighter game that came with it really took a chunk of my time with it. 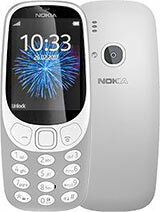 The best phone ever made by Nokia. the most tough and reliable. They should put this phone in the South African National Museum......but i loved my brick hey!! my 1st phone..the best phone ever..every time my phone(n95,express music and all the brand new phone) broke down i will look for my old 3310 and guess what it will always be dependa to be useable. salut to the grandfather of N series he2 . . . .